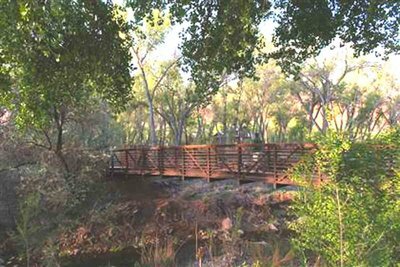 For an easy run that provides a nice sense of Moab and delivers a bit of green and shade, the Mill Creek Parkway path is a great option. The paved path runs for 1.3 miles between the center of town and Rotary Park, along Mill Creek. So it’s a pretty straightforward 2.6 miles out and back. This is also one of the flatter runs one can do in Moab. Some nice small parks, tunnels & footbridges. Bonus: Great running track near the start of the path, on the campus of Utah State University Moab. Add-Ons: Pleasant side streets off Main St./Rt. 191. They’re wide but feature good sidewalks.